It’s often difficult for students to understand historical patterns, especially in their textbooks. We can help by teaching them about historical patterns and showing them how textbook passages are often organized around those patterns. One of these patterns is cause-and-effect reasoning. In the lesson below, students read a textbook passage on the Causes and Effects of the Emancipation Proclamation and use a graphic organizer to comprehend the structure of the text. The graphic organizer is the creation of Mark Ennen, a Blueprint teacher leader from the Long Beach Unified School District. Freedom. January 1st, 1863, by David G. Blythe. Source: The Library of Congress, http://www. 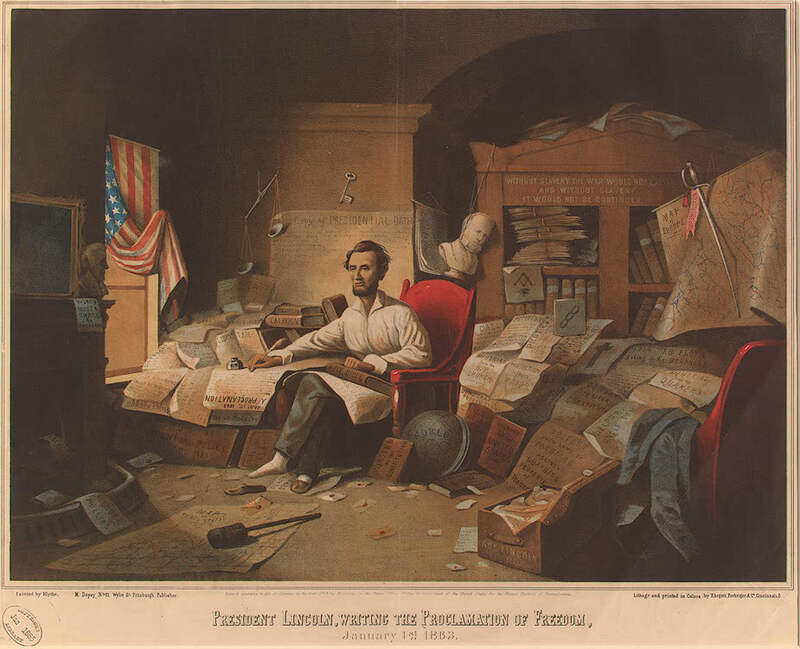 Instructions: The Emancipation Proclamation was a difficult decision for Lincoln because there were lots of factors he had to consider. Tell students that those factors are called “causes.” It was also an important decision because of the “effects” it caused. Click on these links to see the textbook reading, the graphic organizer, and the teacher key.